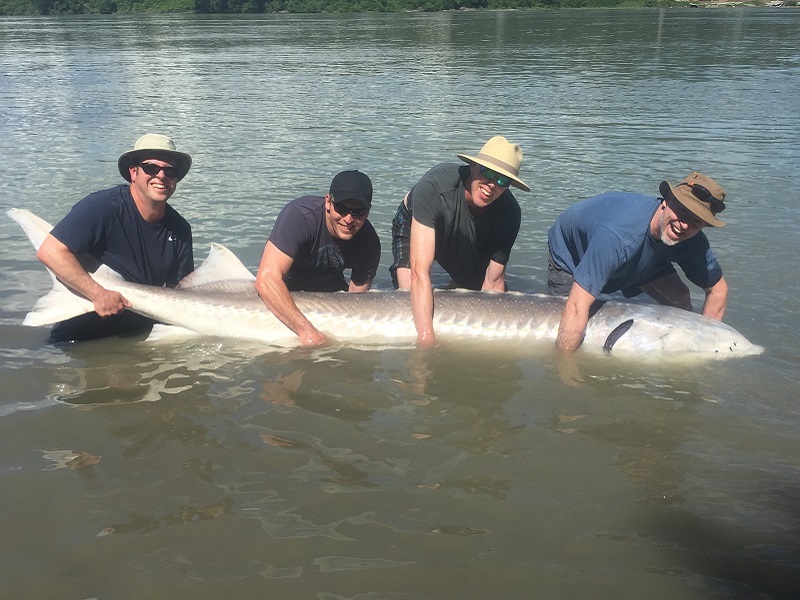 July has been a truly Incredible month! 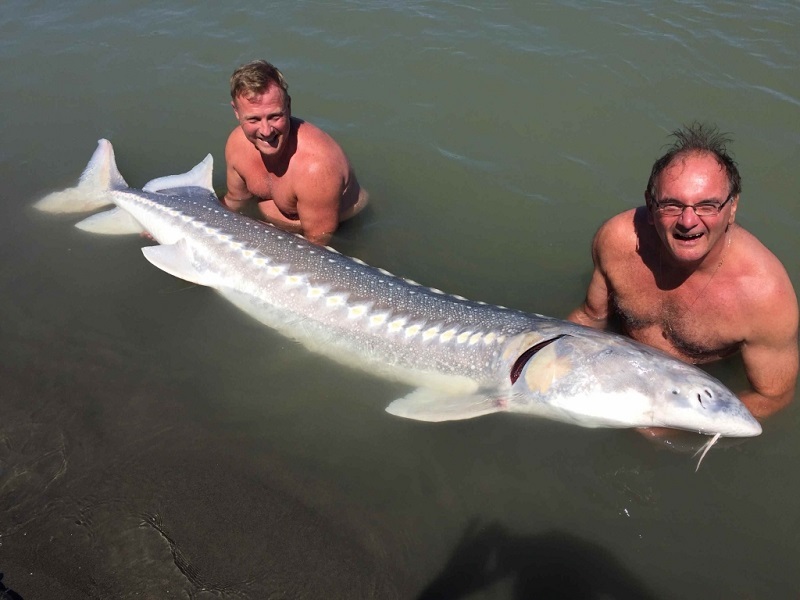 These are but a few of the many Big fish that we have hooked this month. 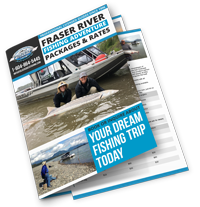 On average each Sturgeon charter has landed 4 – 6 good size fish. 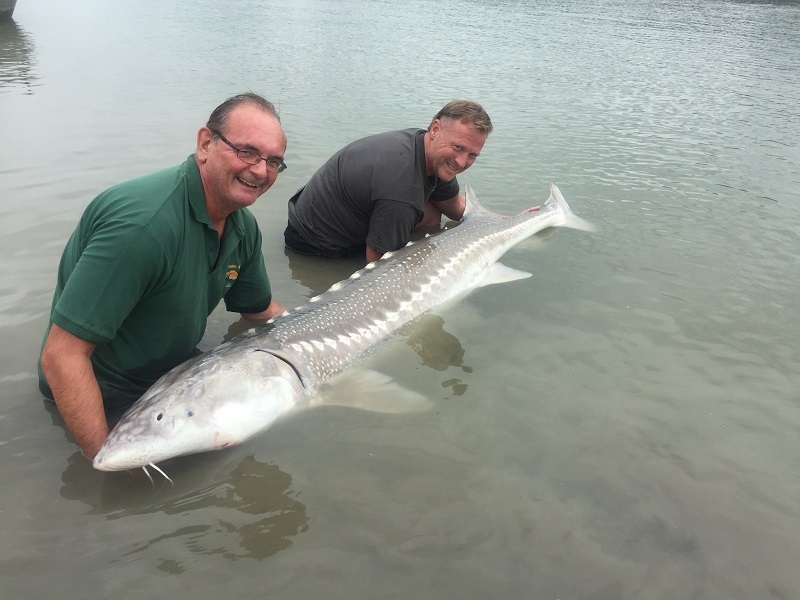 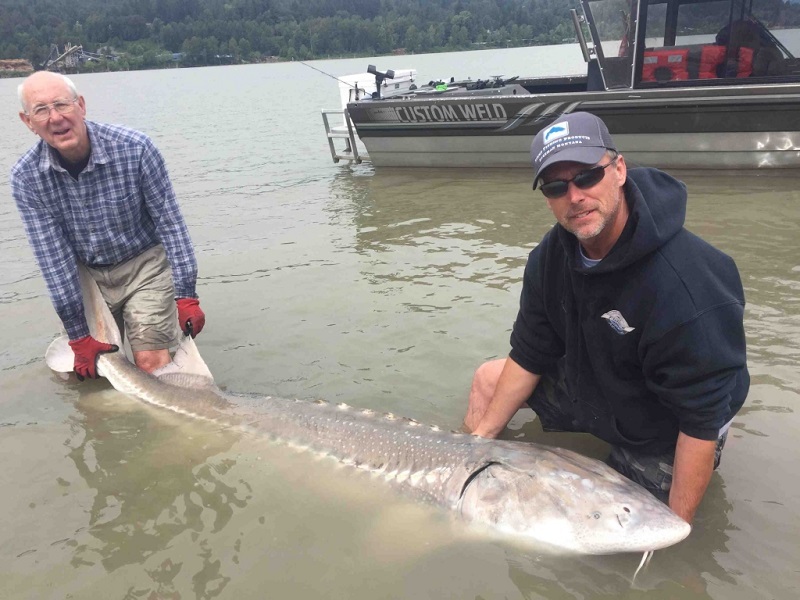 Our guests biggest Sturgeon this month was 9 foot 8 inches or 500 lbs. 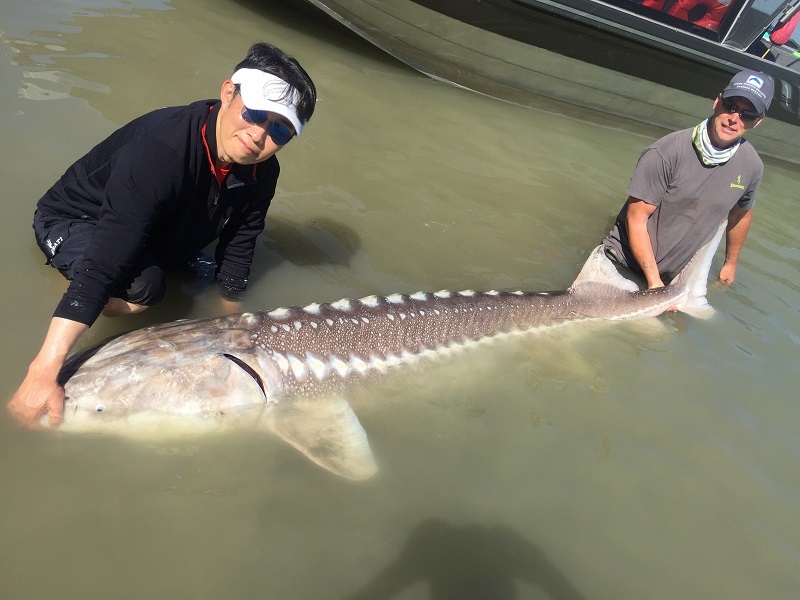 Most fish were in the 6.5 to 7.5 foot range. 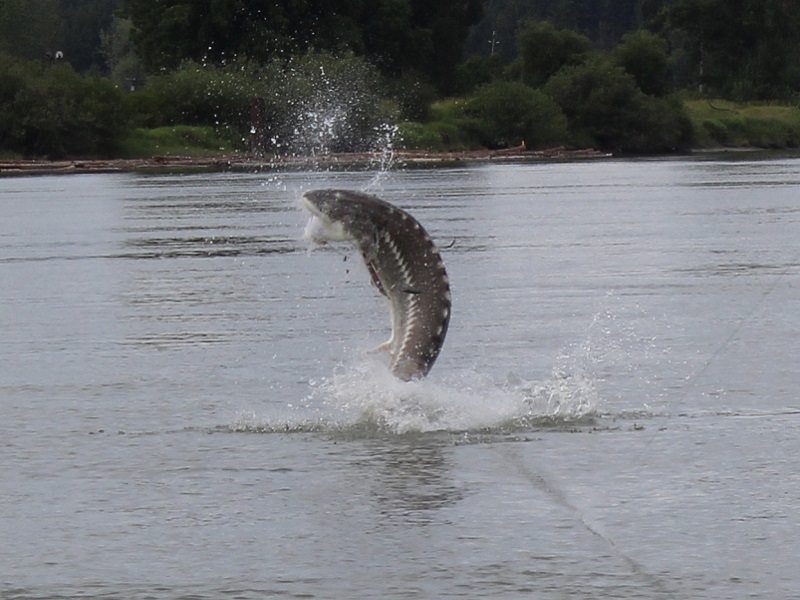 Check out our BIG Sturgeon action!